We take our job seriously. Our job is to help you reach your goals. Want to become a member? It's easy just sign up online or come see us at EITHER location. All you need to bring is any form of payment (card, cash, or check) and yourself. We have NO CONTRACT, NO SIGN UP FEE, and NO CANCELLATION FEE! It's that easy. All you have to do is fill out a very brief information packet and set up the membership option you would like. Then last but not least, you'll receive your own key card with an ID number to swipe when you visit the gym!  Not to mention when you sign up you have access to BOTH Built by Don Fields locations on either side of town! We won’t throw you to the sharks and leave you to sink or swim on your own. When you have questions, please ask any of our employees for help. That will help us to help you. Don’t worry, there is no additional charge. Assistance is included in your membership. Who wants to join a club, pay for a membership, and then be forced to pay extra every time you need help or have a question? Not us, and we’re willing to bet, not you. Speaking of memberships, it’s important to know that we don’t believe in contracts. We want you to be a member because you’re receiving the services and facilities you want and need—not because you’re under contract. Just as your workout should be tailored to fit your needs, our membership programming allows you to tailor your billing to what works best for you. We accept bank drafts, credit cards, or cash and you can pay monthly, quarterly, semi-annually, etc. We want to work with you—not against you. Are you a Rapides Regional Employee? No. We don't believe in contracts. I want you to be a member because your receiving the service and facilities you want not because your under contract. If you would like to cancel your membership we will simply need a 30 day written cancelation statement. Yes. We have several that specialize in lots of different things. Find one that fits your needs on our About page. No. You do not have to pay any intial fee to sign up to become a member. If I'm a member, do I have to pay for classes? No. Classes are included at no extra fee. Do I have to pay extra to use the tanning bed? No. Members may use the tanning bed at no extra cost. We have a number of different payment options. Members can pay monthly, quarterly, yearly, etc.